Nestled in the quiet Eldridge-West Oaks neighborhood of Houston, Texas and in the Katy Independent School District, Amberjack Estates offers the tranquility of suburban living with quick access to the best the Space City has to offer. Having transitioned from rural sprawling ranches just 30 years ago to the booming residential and business neighborhood it is today, Eldridge-West Oaks is an ideal place to set up home base. Our 1, 2, & 3 bedroom apartments for rent in Houston situate you near mouth-watering local eateries, endless shopping opportunities, and entertainment for all ages.  Located a little over 20 miles from downtown Houston, Amberjack Estates offers countless opportunities for fun and adventure. Just steps from your door, take advantage of the Park Trail System where you can explore a variety of bike and hiking trails. Get a taste of Italy at Rocco’s Italian Restaurant, or head to BJ’s Restaurant & Brewhouse for a pint and a burger during happy hour. With nearby conveniences such as H-E-B Grocery and Sam’s Club, you can get your meals prepped for the week easily with help from your chef-inspired kitchen. At Amberjack Estates, we make it easy to do what you love. Contact our Houston, Texas, leasing team today to learn more about the growing Eldridge-West Oaks neighborhood.